When people think of lockers, they often don’t think past the old grey boxes that we would generally associate with a changing room. Something that would be classed as a “necessary evil”. These tin boxes would be secreted somewhere out of the way as they certainly represent and example of function over form. What if logic were turned on its head? 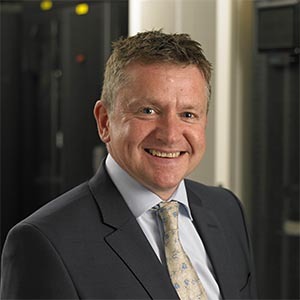 What if the space that the lockers were going to occupy was in a major thoroughfare of the business and that everyone would see them – from your largest customer to the CEO. How could something that traditionally is kept out of site – were thrust into the limelight? Euroworkspace has successfully delivered installations that followed previously introduced themes as well as adding a little theatre into areas that do not normally demand it. Making locker systems an interesting and thought provoking experience. In Canary Wharf alone, we have installed a fifty metre long landscape to London landmarks through to airport reference codes on the Simplicity locker system. Each installation has been as unique as the clients they were delivered to. Capitalising on space that may have previously been dismissed as unusable has been re-visited and fitted with Simplicity lockers. Adding beautiful graphics and artwork leave clients not just with a fully integrated smart locker system that works with existing door entry systems in the organisation, as well as keeping track of usage – whilst saving space, but also a locker system that interacts with a user and goes beyond just putting items in and out of a locker. It doesn’t stop there, Imagine being able to use your locker installation to signpost your business. Using Simplicity Zones, Euroworkspace produces a specially designed, easy to learn, helpful set of navigational points in your building. It makes it simple for staff and visitors to find their way around your business, and keeping them on track and on time for meetings and gatherings. 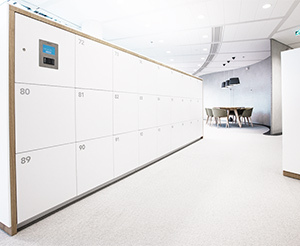 If you have a project where a locker system needs to be more than just a functionless tin box – talk to Euroworkspace, they’ve got grand designs on locker systems.